A fence at least four feet high is around the pool’s perimeter, along with a self-closing gate. Brad Parker says, “Most cities and municipalities have regulations set in place regarding this safety factor. The pool should be enclosed somehow. 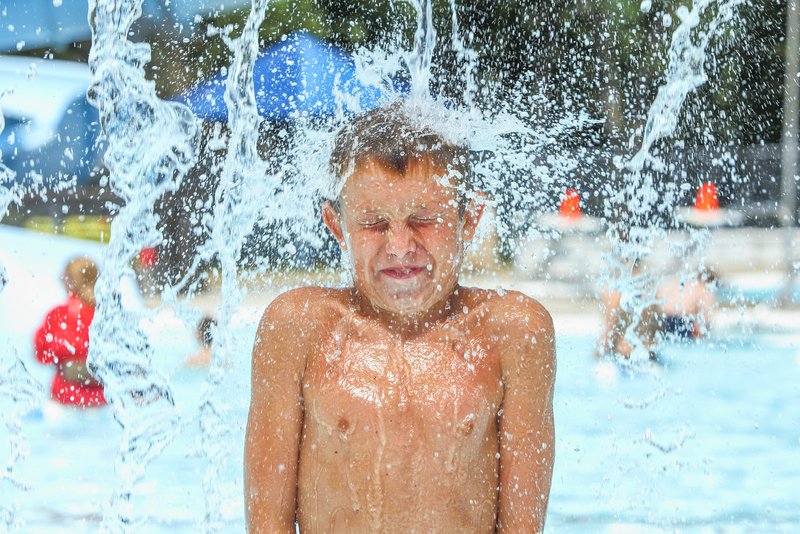 Drowning is leading cause of death in summer among children, whether caused by fatigue or not knowing how to swim. An enclosed pool ensures that little ones can’t stray and get into a dangerous situation”. that alerts when something or someone falls into the water. A responsible adult is with children at all times when in or around the pool. The adult must remain alert and keep a constant eye on the water. “Inattention is the No. 1 cause for pool accidents. There are two situations I commonly see. The first is when two or three kids are playing with just one adult monitoring. The adult runs inside for just a minute or two to grab something. Drowning can happen in the matter of seconds. The other situation is when people are having a party. Adults are distracted and everyone assumes that someone else is watching when in fact nobody is watching,” Brad says. Life jackets or floating devices should be on hand for all small children to wear. All members of the home should know how to swim and know how to handle any swimming emergencies. “Put your kids in swim class as soon as you can! You can’t learn to swim too soon,” Brad says. A list of pool rules should be posted to ensure everyone sees and understands them. Wrongful deaths due to drowning and serious swimming pool injuries are often preventable and can be linked to someone’s negligence. “Be sure as a pool owner that you have adequate insurance in case someone gets injured,” Brad suggests. If you or a loved suffered the loss of a child due to an accidental drowning, call 817-503-9200.